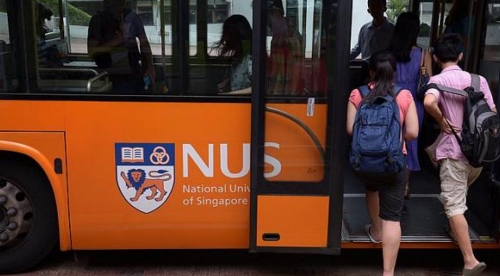 National University of Singapore (NUS) has slipped three positions to be No. 24 in the latest Times Higher Education World Reputation Rankings. But it regained its place as Asia's second best university, after the University of Tokyo, in the latest ranking released this morning. Nanyang Technological University (NTU), which fell from the 71st to 80th band in 2013 to the 91st to 100th band last year, stayed in the same placing. Only the top 50 schools are given a specific rank. The London-based magazine, which based its ranking on the opinions of 10,500 senior academics, described NUS' changed position as a "minor slip that should not be cause for too much concern". Mr Phil Baty, editor of the rankings, noted that NUS has become No. 2 in Asia, up from No. 3 last year, and remains one of the top 25 most prestigious universities in the world. "Given that there are around 20,000 higher education institutions in the world, this is an outstanding achievement," he said, adding that competition at the top is very intense. "Universities have to run fast just to stand still," he said. Singapore's two leading institutions are "well and truly embedded among the world's best global university brands", said Mr Baty. In response to the ranking, NUS provost Tan Eng Chye said: "We are heartened that NUS remains among the world's top 25 universities and has improved its placing as second in Asia." He said it was a strong endorsement of NUS' focus in four key areas - nurturing talent, educational innovation, building research peaks and developing strategic partnerships. In response to its unchanged banding, an NTU spokesman said: "Reputation figures are the most subjective part of rankings, but in the more objective performance measurements such as citations, NTU is on an upward trend." NTU saw its ranking drop last year. The Times Higher Education magazine said then that the university's decision in 2013 to deny journalism professor Cherian George tenure could have hurt its standing with academics abroad. Overall this year, American universities continue to dominate, taking 26 of the top 50 places, with Harvard University keeping its top spot. Britain has the second most number of universities in the top 100. Cambridge University moved into second place, up from fourth last year, followed by Oxford University, in third. Asia's top performer, the University of Tokyo, was 12th. Kyoto University fell from 19th to 27th place, to be ranked below NUS. The reputation rankings have been criticised by some for being subjective, as they are based purely on the opinions of academics. The poll asks academics to nominate no more than 10 of the best institutions in their narrow field of expertise, based on their experience and knowledge. Mr Baty agreed the ranking is based on "purely subjective judgment", but added: "It is the expert subjective judgment of those who know most about excellent teaching and research - leading academics from all around the world. And their opinion matters deeply."